Friendship is one of the divine and sacred relationship. Life turns beautiful with the true friend, because a bestie can only understand, console and support you all the time even if you express or just keep calm. Use this attractive blue image to let others know how deepened is your friendship. 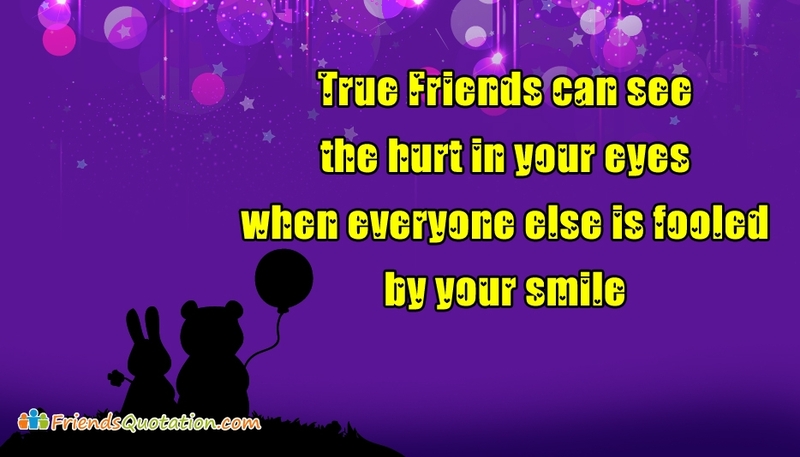 Free download and share this "True Friends Can See The Hurt In Your Eyes When Everyone Else Is Fooled By Your Smile" image through any social media.